Oil on canvas. 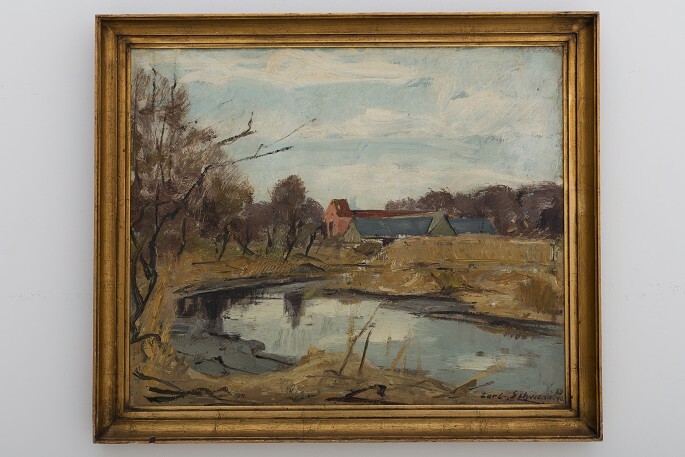 Painting of a farm and lake. Signed "Carl Schwenn 1940".